Manufactured in 1958. 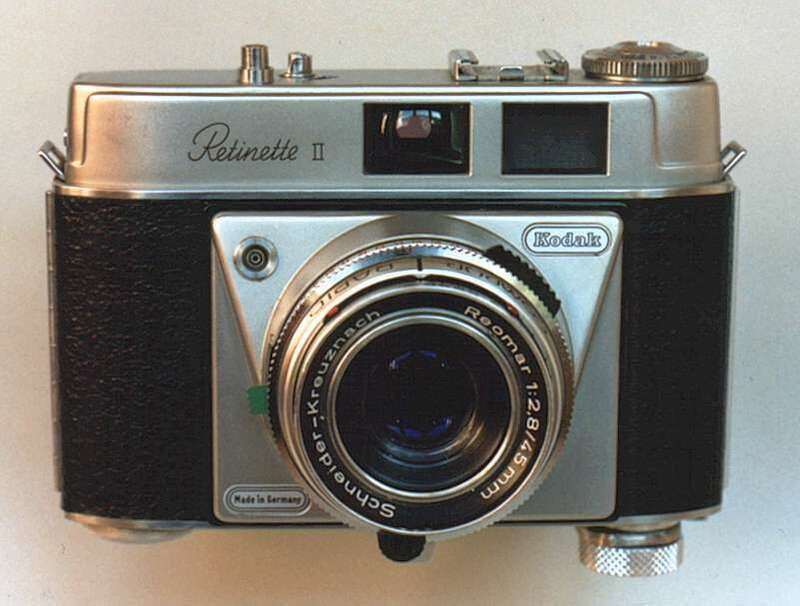 This camera is similar to the Retinette I type 030, this model was fitted with a Reomar 45mm f/2.8 lens in a light value Compur-Rapid shutter. The depth-of-field indicators on the lens housing move automatically with the selected aperture much as those on the Retina IIS or IIIS models.